Last week we introduced you to a natural earthly tool to create incredible designs and illustrations on walls, sidewalks, street pavements… . This week we focus on the same space occupied but in a third dimension coloured. Incredible sceneries and characters that trick our eyes into experiencing something that is not real though still as awesome as can be ! 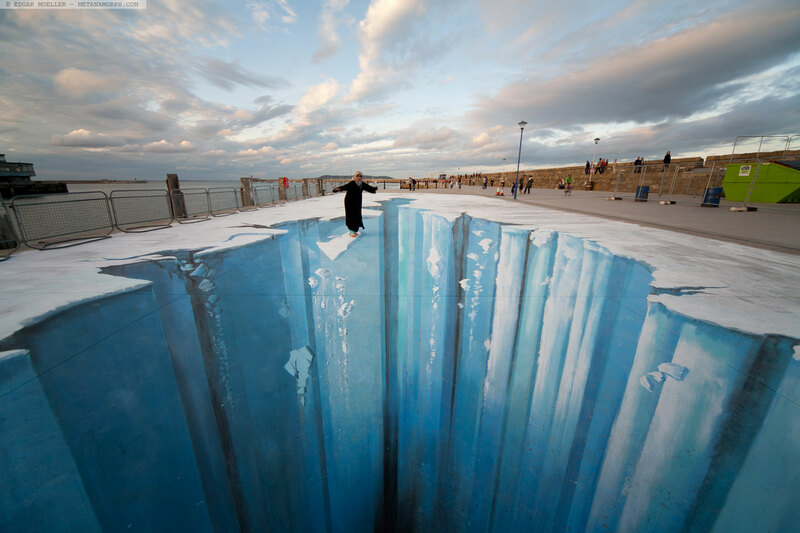 These three-dimensional drawings and paintings are also considered to be street paintings; street art practiced on pavements, sidewalks and squares during live-performance to share the “joy of painting”. 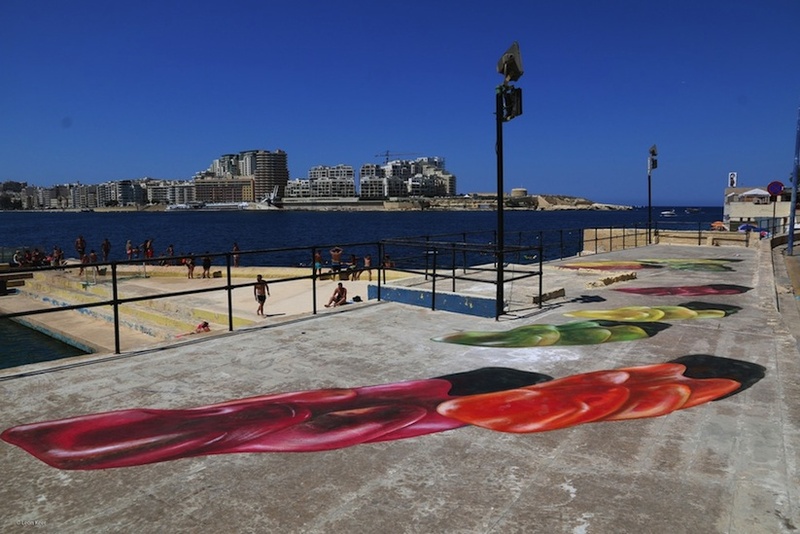 These paintings already exist since the 19th century when pavement-artists conquered the streets for a living and are executed with (semi-)permanent materials, like the popular tool chalk we introduced last week. 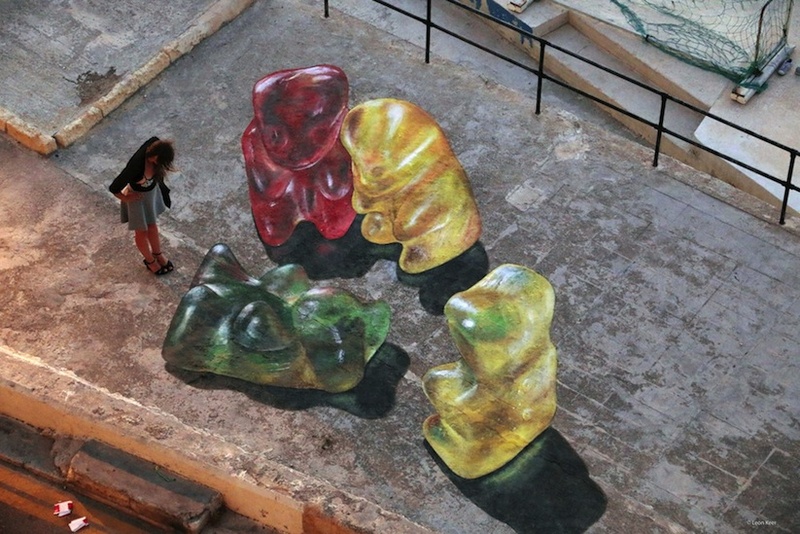 Focussed on some artists that made it happen all over the world, we want to start with one of the most popular colourful candy created by Dutch artist Leon Keer. Promoting awareness around environmental issues as well as the livability of our surroudings, he aims at transmitting the contrast of beautiful and ugly throughout his paintings. On the pictures one can see the green Gummi Bear that passed out, while the others are reaching out to him… a playful scenery. 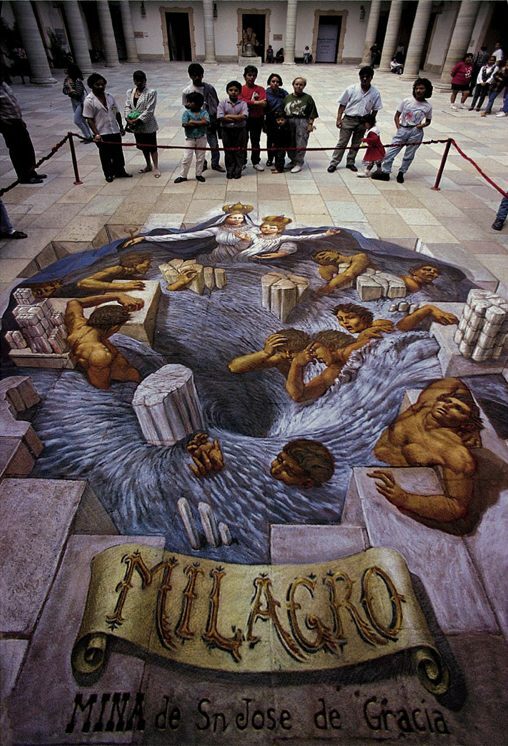 Kurt Wenner is one of those magnificent artists that established the renaissance of classical art on pavements since the ’80s. Educated in painting, drawing, sculpture and architectural design… he builded up a résumé for several venues in more than 30 countries. A huge thumb up for these remarkable classics. 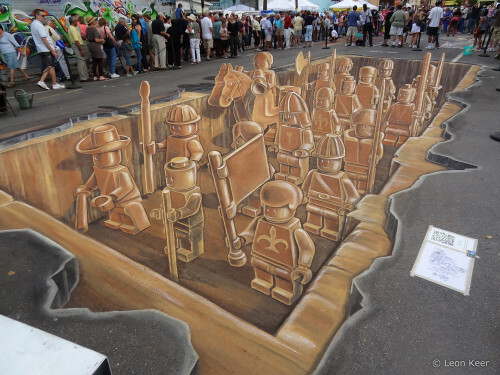 Another 3D-artist and auto-didact is the German Edgar Müller, painting large-scale surfaces within the urban groundscenery, teasing the people passing by to challenge their perceptions. Here you can have a look on how he set together The Crevasse, as part of a Festival of World Cultures in Ireland. 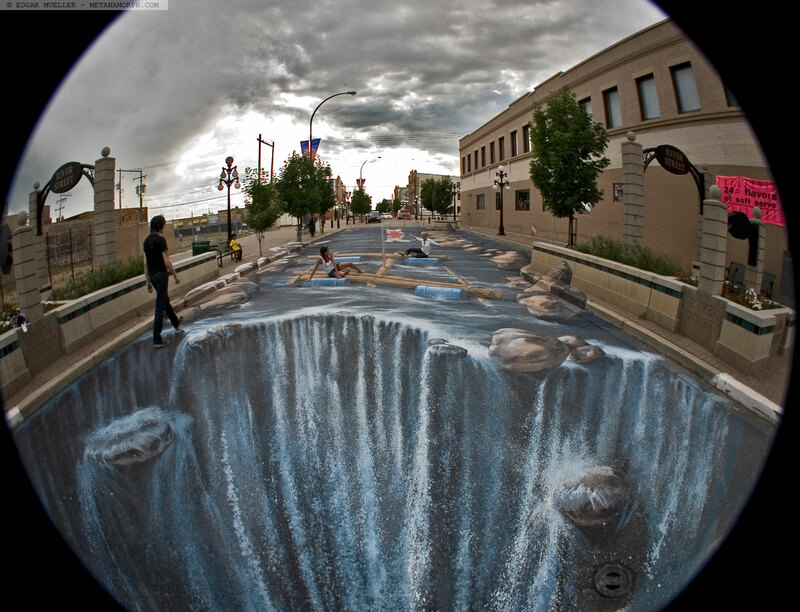 This entry was posted in Blog, Do It Monday and tagged 3D, 3D chalk, 3D street art, anamorphosis, chalk art, Edgar Müller, Kurt Wenner, Leon Keer, pavement art, sidewalk art, street art, streetpaint, streetpainting, urban creativity, yesyoucanspray. Bookmark the permalink.